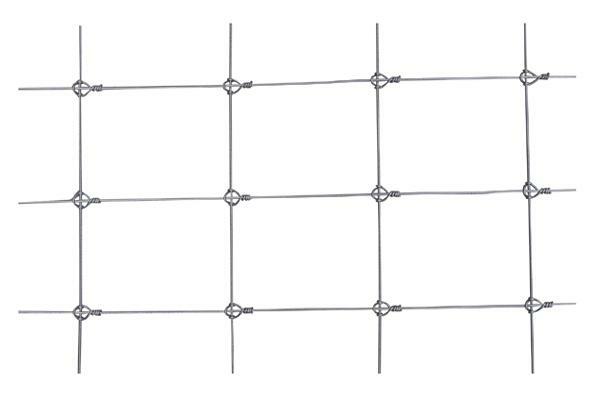 Hinge joint knot fence are designed to withstand stock pressure in specific grazing applications. 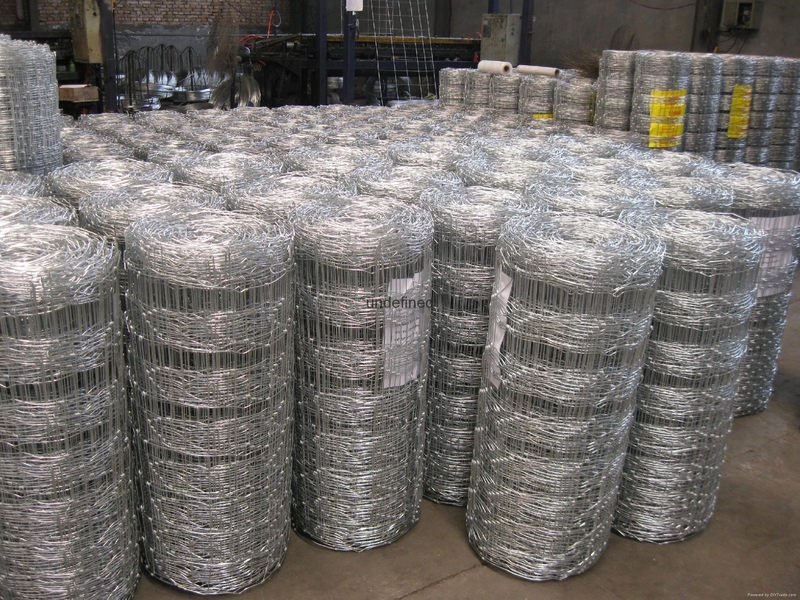 It also known as sheep netting, sheep fence, field fence and woven wire fence, are offered in a wide variety of heights and styles that feature graduated spacing that starts with narrow openings at bottom which prevents the entry of small animals. 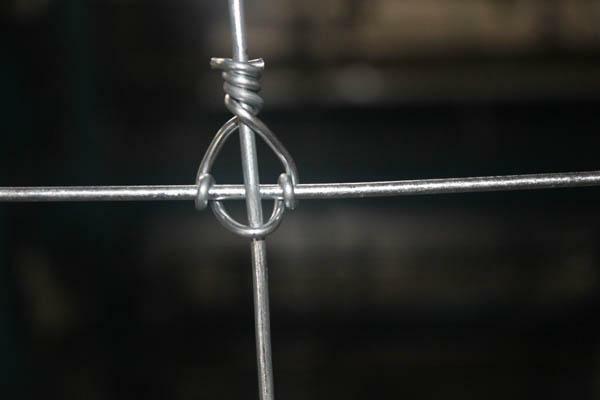 Now, our factory can manufacutre both mild steel and high tensile hinge joint fence for customer choose. 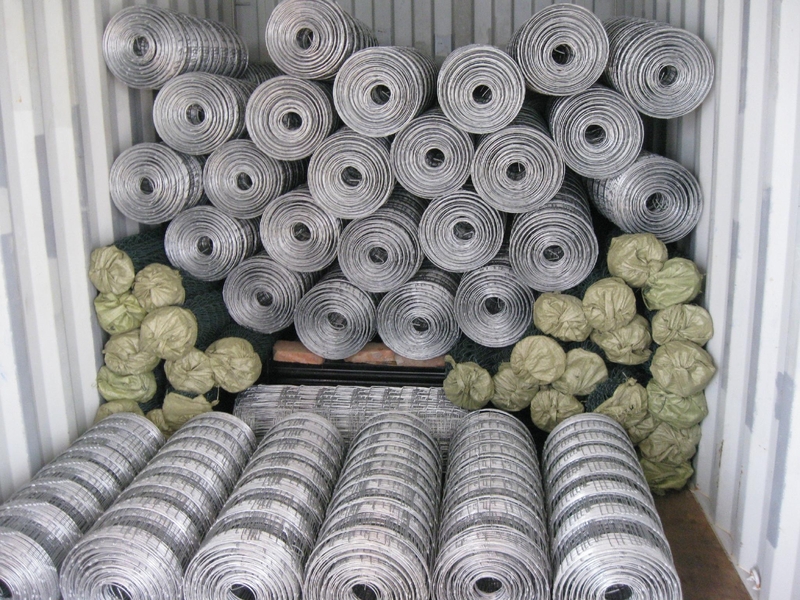 Galfan coating 95% zinc + 5% aluminum 30-40 years no rust. 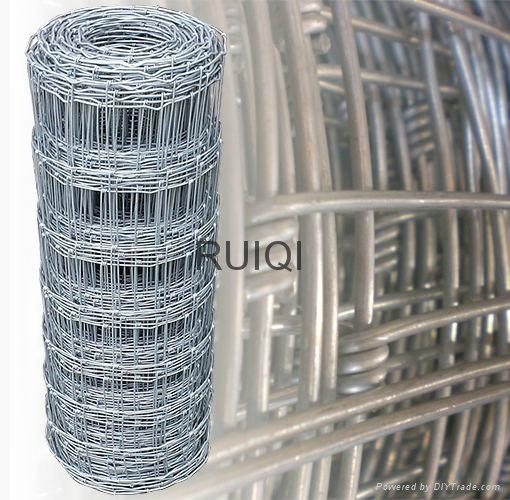 Light size: 2.0mm top and bottom wire and 1.60mm inner mesh wire; Medium size: 2.40mm top and bottom wire and 1.90mm inner mesh wire; Heavy size: 3.0mm top and bottom wire and 2.40mm inner mesh wire.